Glad to have Wayne and his group fish with us. 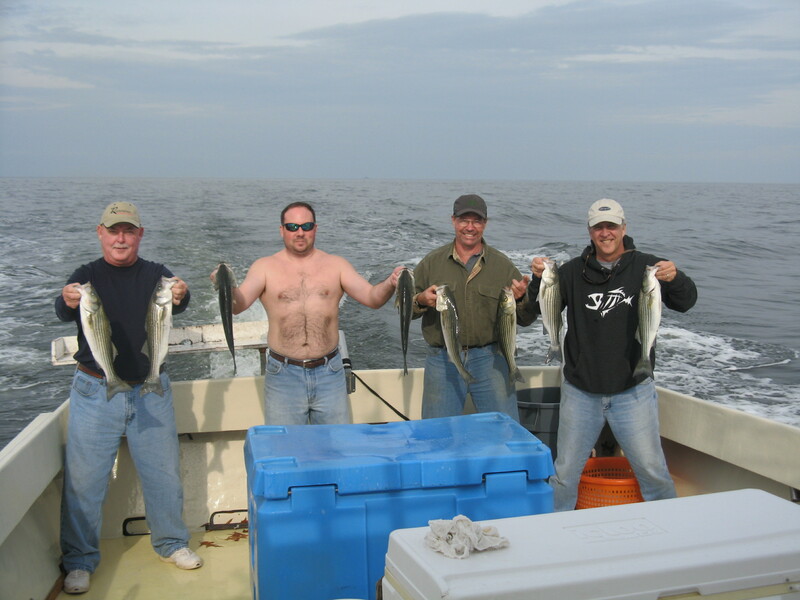 We kept them busy with the stripers and appreciate having them aboard. Hurry back gang! Thank you Don for bringing the guys down to fish with us again. Appreciate your business and look forward to next year. 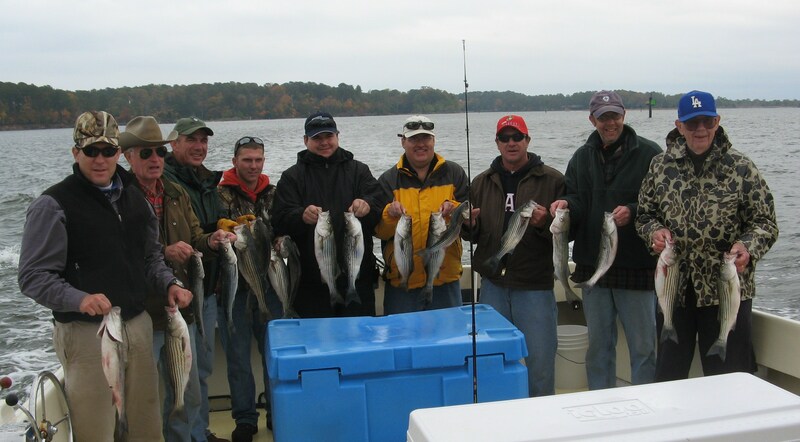 Thanks so much to Jimmy and his crew for taking time out of their busy work schedule to fish with us. 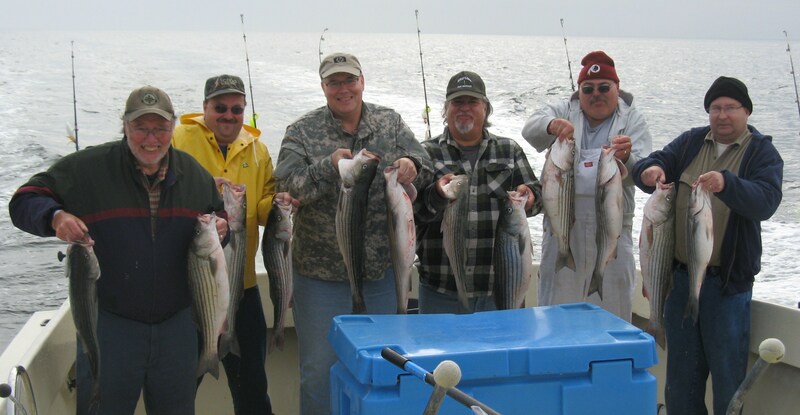 The rockfish cooperated as did the weather to give us another good day on the Bay. Appreciate your business! We had a hard southwest wind today for David and his group but they hung in there. Fishing turned out to be really good. We got our limit and headed back across the Bay. 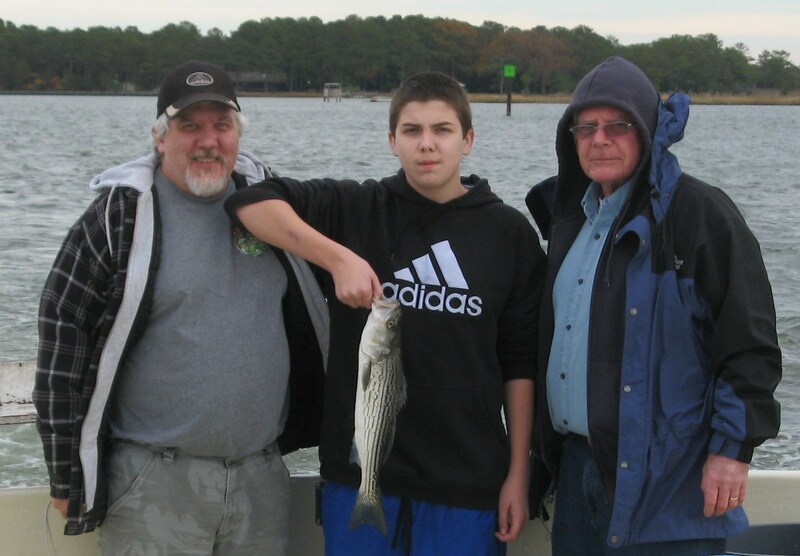 Appreciate you fishing with us David and hope to see you again back aboard KIT II. 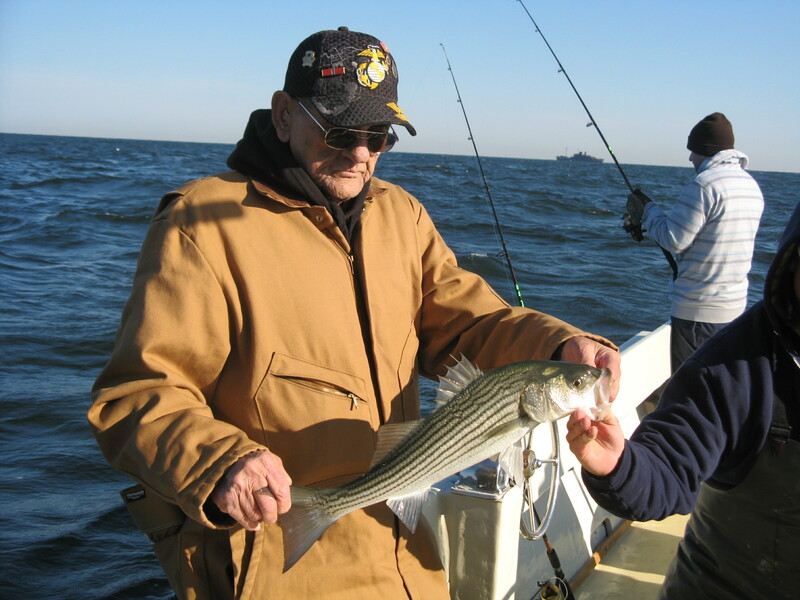 Today we honored our Veterans by again fishing with retired Marine Sgt. Chuck Jones, a Korean war veteran. We had a great day chumming with plenty of rock. A great day with a great bunch of guys! Appreciate fishing with you all! Really good to have Dave bring his crew to fish with us. 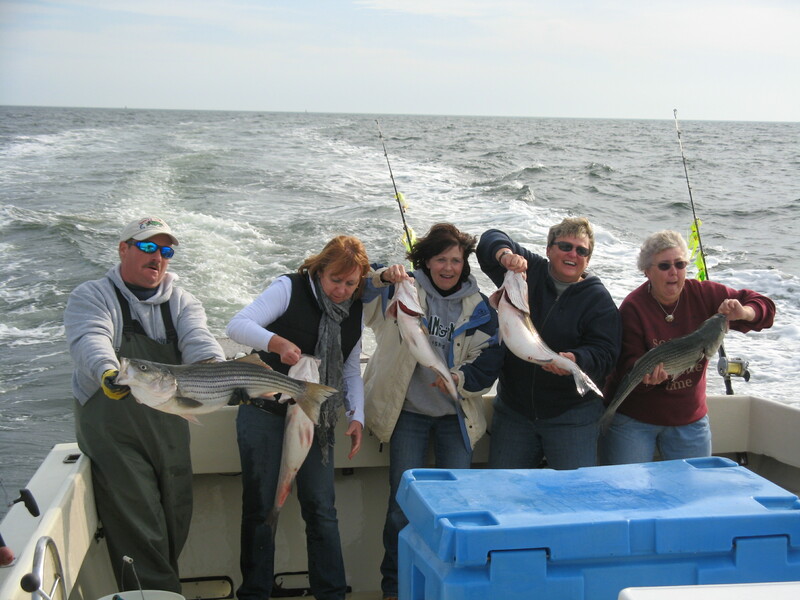 Once the fog lifted, we caught plenty of stripers and released plenty after catching our limit. Certainly appreciate having these fellows fish with us and look forward to our next trip.